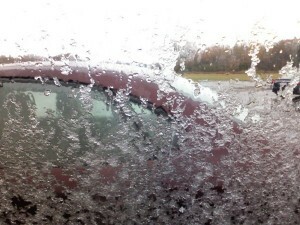 When I got into my car last Wednesday after my bus route, this is what I was sitting in, a car with snow on it. Hello! It’s not even November yet! To be honest, I am not ready for the cold, not looking forward to it, and just not happy that Fall has already left us. We didn’t have much of a summer either. I just hope the cold will pass early in the Spring. Wishfull thinking! I realized yesterday that from yesterday Christmas Day is exactly 2 months away. Wow that seems soon! And, thinking back to last year Tim, Mom, Dad, Katelin and I all walked across our lake on Christmas Day. So I’m thinking that it’s about to get to below freezing and stay there for a long time. Tomorrow the snow we have today should be melted though. I haven’t even begun to think about decorating and shopping. This time last year I was itching to decorate for Christmas. Wow, how beautiful! It’s still in the 80’s here in California, ugg! I have seen you from married to the youth pastor for a while, and today just realized who your husband is and that my husband follows yours on twitter, or something like that. Small world. Really like the new site! Anyway, looking forward to watching your blog and maybe we’ll bump into each other at the group YMC in the spring.